FortWayneMusic.com • View topic - Daily embarrassing music loves. Post subject: Daily embarrassing music loves. Mine today? 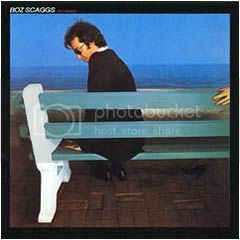 Boz Scaggs. Silk Degrees. Last edited by Oliver's Army on Wed Sep 13, 2006 11:10 am, edited 1 time in total. The Dirty Dancing Soundtrack - both volumes One and Two. That's some good stuff right there. Serious-rockness. I sing along EVERY time. Yeah, it's in high rotation on iTunes. My guilty pleasure is Alicia Keyes. I love the new live album. Oh trust me, I agree 110%. That's mostly for the youngins' on this board who wonder "where the heck did Dan get the moniker 'Steely'"
Of course their follow up album, "Go On' is one of the best albums ever recorded that nobody's ever heard of. Mrs. Ollie must be a really...umm...well, don't know how to reply to that.